Sometimes basketball is the only way out. Even for a girl. Even in the Dust Bowl of the 1930s. The tiny hamlet of Poor Prairie doesn’t see a lot of folks coming into town, least of all men – they’ve all left to find desperately needed work. So when one gets off the train, everybody talks, especially the high school girls looking for a meal ticket. The marryin’ kind. But this man is mysterious. He’s from Poor Prairie, but nobody knows where he’s been and his story’s got some…gaps. A few things are clear, though – he’s teaching at the high school, he knows basketball, and most importantly, he has the only inflated basketball in town. Inspired by the flourishing and the decline of high school girls' basketball teams in the 1930s rural Midwest, The Tall Girls asks: who can afford the luxury of play? And what is the cost of childhood? Featuring a stong ensemble of female characters, The Tall Girls examines issues of class and gender amidst the historic 1930s Dust Bowl. Setting: The tiny town of Poor Prairie during the 1930's Dust Bowl. JEAN - 15 ½, the strong forward. Cool-headed and decisive. A natural strategist. New to the sport. ALMEDA - 14, the shooting guard. Scrappy, muscular, and temperamental; most likely to intentionally foul. INEZ - 17, the small forward. Very little natural athletic skill, but a nurturing presence. LURLENE - 16, the center. Tall and lazy. Unlikely to practice or rebound. A boy-crazy liar. PUPPY - 18, the point guard. Small—very, very small. A little lady in the making, but a fast, nimble ball handler. HAUNT JOHNNY - Handsome and much, much older. Note that, in this play, “tall” is a mental, not physical state of being. Though the characters’ language may have its own eccentric music, the accents are flat and broad (and not Southern). 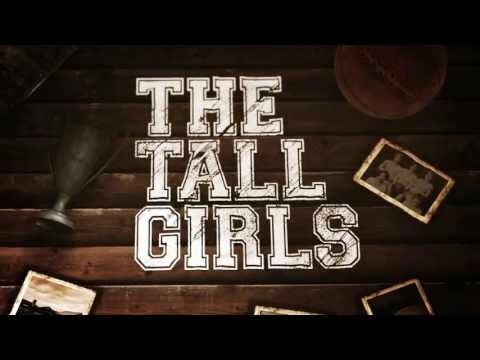 The Tall Girls received its world premiere at the Alliance Theatre in March 2014 in a production directed by Susan V. Booth and dramaturged by Celise Kalke. The play was developed during a residency at the Eugene O’Neill Theater Center’s National Playwrights Conference in 2012 (Wendy C. Goldberg, Artistic Director; Preston Whiteway, Executive Director). The workshop was directed by Hayley Finn and dramaturged by Annie MacRae. The play was subsequently developed at La Jolla Playhouse as a part of their inaugural DNA Series in 2013. The workshop was directed by Juliette Carrillo and dramturged by Shirley Fishman.